Sania tied the knot with Pakistani cricketer Shoaib Malik on 12th April 2010 & the couple is desperately waiting for the arrival of their first child. 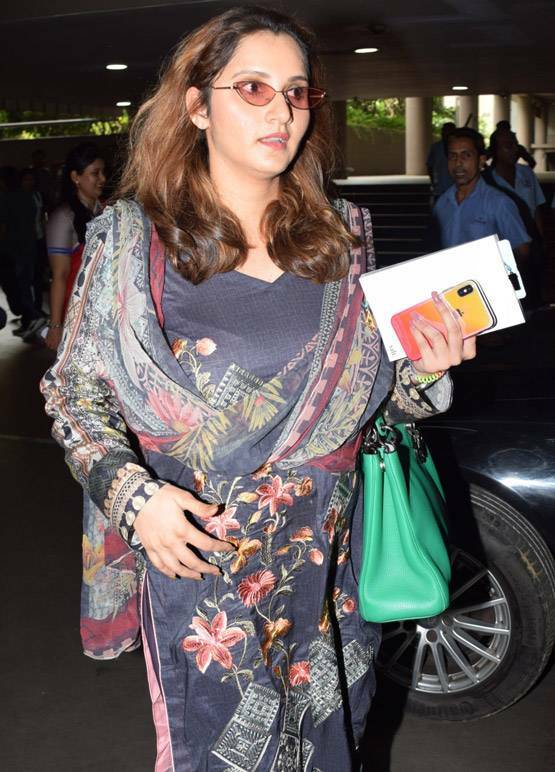 The very socially influential, Sania Mirza is giving expecting mothers a reason to take a cue from her as she suavely dressed herself and her baby bump in elite clothes. 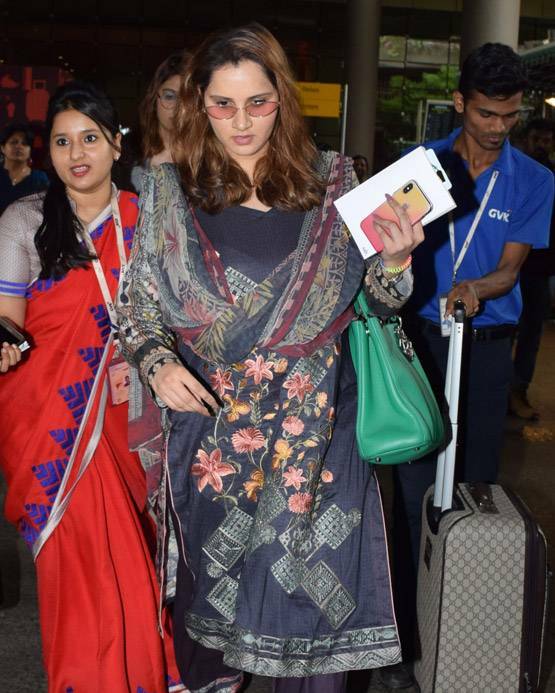 The ace tennis player was snapped at the airport looking pretty in an indigo coloured salwar kameez. She carried a green bag and wore a pair of Kolhapuri chappals. 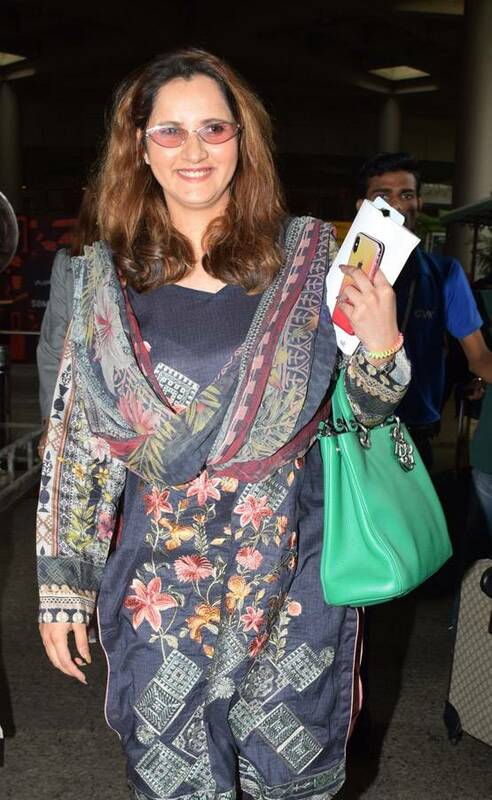 Sania rounded her look by sporting a pair of sunglasses. Sania tied the knot with Pakistani cricketer Shoaib Malik on 12th April 2010 & the couple has been waiting for the arrival of their first child. And she seems to be embracing her first pregnancy eloquently. She visibly beamed from ear to ear and seemed to have grown healthier owing to her pregnancy.